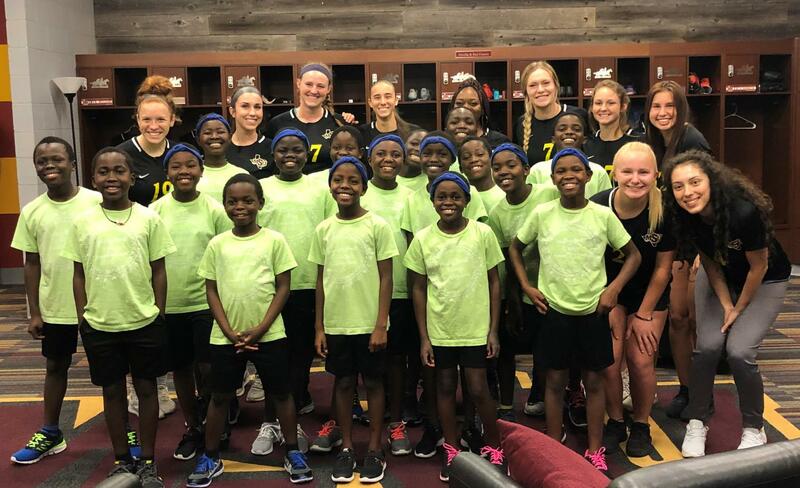 Between the games and singing, everyone around was grinning ear to ear in the presences of 17 children from Uganda in the Daraja Children’s Choir. The women’s soccer team was able to play soccer with the singers as well as watch them perform. Daraja is a group of children from ages 9-13 that come to the United States from Uganda and tour across the southern region leading worship at churches, schools and other events while sharing Christian discipleship. Ryan Spence, women’s soccer head coach, was in charge of organizing the afternoon of soccer between the two groups. Spence said he felt it was important for players to get involved in something important to his family while still getting community service hours. MSU won the 2019 award on January 28. 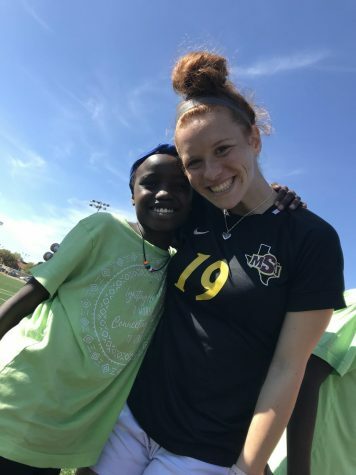 Chelsea Knaack, women’s soccer assistant coach, said she enjoyed the afternoon of playing soccer with the children. She said watching the kids faces when they saw the players was amazing. The second part of the event was the choir concert where the children performed for more than a hundred students and members of the community at the Colonial Church. Sarah Stewart, chemistry junior, was among the players that attend both events. She said she gained a different view of the world seeing them come from where they came from and still being that happy and joyous.